Cyrez&apos;s multi-genre solo album was released yesterday and is a must-listen. Far from NRG but has some beautiful moments - and even a fabulous, relatively downtempo Distant Illusions remix for the freeform crowd. Last night reminded me how useful streamed sets can be for practice, as well as how nice it is to spend some live time with the TYFTH crew. Thanks to everyone who stopped by, and plans are already afoot for at least one set next month. 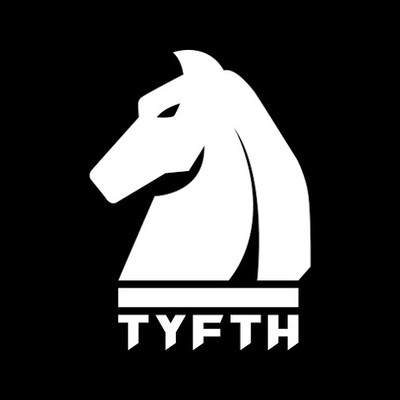 TYFTH Live 002 will stream from 19:00 JST on 28th October (Sunday), with two shorter sets of #goatrance and then #HardNRG. On second thoughts...after some practice I&apos;ve had a couple of ideas, and so it&apos;s back to the original plan! Longer post coming later today with all the necessary info, but there&apos;ll be a twitch stream this weekend, on Sunday at 19:00 JST. This time it will be goa only - to be honest I haven&apos;t really been feeling the NRG I had planned and would rather use parts of it in next month&apos;s set. From next month there will also be occasional non-recorded streams of promo/rarer tracks, so watch out for an announcement pretty soon. The next stream will likely be weekend after next, just catching the end of the month. The plan at the moment is two shorter sets in one session, but we&apos;ll see how the prep goes before then. What has turned out to be the longest TYFTH post so far should finally be ready this week. @Sherkel Hope you do! I&apos;ve got you to thank for the latest effort so it&apos;d be nice to return the favour. @Jambato Thanks, so am I! Will keep at it, but Afagddu will only be back if things get dark enough. On a 5 day Reason streak right now, hoping to make some decent progress before getting back to the mixing. Very much enjoying E-Mantra - Stapanii Timpului, his strongest #goa since Arcana. There might never be a better Mantra track than Praying Forest, but it&apos;s exciting to hear a new take on those atmospheres. Some admin trouble means the TYFTH soundcloud&apos;s going to be hamstrung for a while, unfortunately. Working on it and will update as and when. No problems with the test stream, so we&apos;re almost back in business. Next comes some practice time with polaritia and Khaosnet Civililization, then to decide on this month or next. @Sherkel That was before I bought a horse! Checking the health of the TYFTH streaming setup today, before deciding on the next set.